UC Davis researchers announce in the Proceedings of the National Academy of Sciences this week a breakthrough in understanding which cells afford optimal protection against Salmonella infection–a critical step in developing a more effective and safe vaccine against a bacterium that annually kills an estimated one million people worldwide. 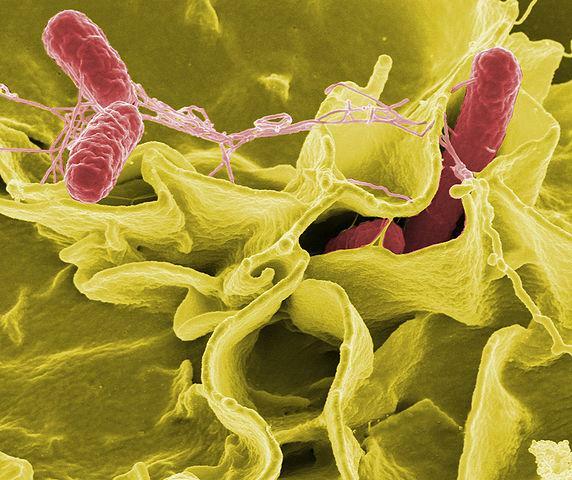 "What everyone has been focused on in immunology, not just in addressing Salmonella, but all infectious diseases for the past 50 years or so, has been antibody and T cell responses," McSorley said. "What hasn't been realized until very recently is there are actually two different categories of T cells–those that circulate through tissues in the body and those that never move and are known as tissue resident or non-circulating memory cells." Since non-circulating memory T cells were discovered, McSorley said there's been a rush in different disease models to understand whether they are important or not–in cancer and infectious diseases. It seems in some models they are very important; in others, they are less so. NTS has really emerged in Africa in the last 10 years, McSorley said, mainly in young children, the elderly and HIV positive individuals–basically people with compromised immune systems. They get a strain that would normally cause gastroenteritis, but in these individuals, it causes systemic infection and can kill them. McSorley said they have some ideas about how to do that and that's where the next phase of their research is going–to try and take vaccine components in a mouse model to specifically focus on these non-circulating cells and see if they can induce them.